The Dycem Non - Slip Pad ideal around the kitchen. 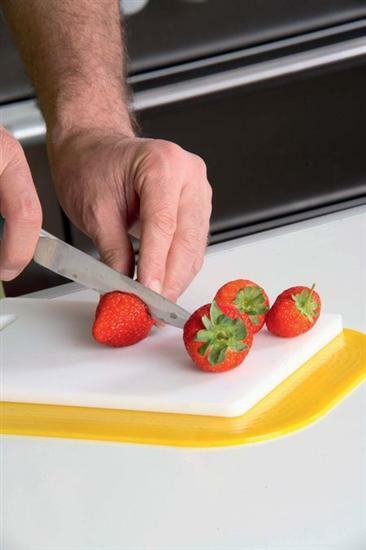 The Dycem anchorpad is a handy non-slip rectangular mat that is ideal around the kitchen and dining room as a safety aid. 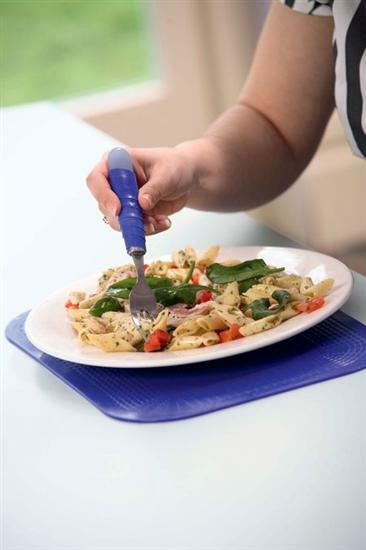 The pad’s surface will stop crockery and cutlery from slipping, thanks to its unique design. Although the surface itself is not sticky, it grips dry, slippery surfaces e.g. 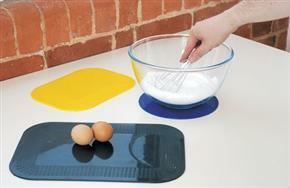 worktops, trays, floors and tables to prevent movement. The Dycem non slip pad can be washed in warm soapy water, but please note: it is not effective when wet.